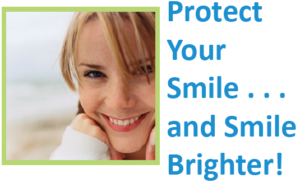 Dental insurance is something that can help reduce overall dental expenses. Dental procedures can be quite costly. Therefore, dental insurance through Central United Life Insurance Company can help pay for general dental visits as well as necessary dental procedures. Central United Life Insurance company (CUL) is part of the Manhattan Life Group which has been doing business since 1850. This is a private policy for individual or families. KEY POINT: Central United Life Insurance allows YOU to choose your own dentist. There are no dental networks that assign a particular dentist to the policy holder. 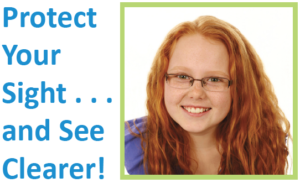 In addition, the dental insurance plans offer special family rates which are great savings when it comes to children. Get a Quote on this Product. As an added bonus, ALL the policies include Vision and Hearing coverage as well. Each year CUL offers policy holders a benefit amount of $1,000 or $1,500. The person gets to choose their own plan benefit amount. The available limits can be used for dental, vision, or hearing benefits. This coverage is very nice because some clients who prefer expensive eye-wear and vision services are covered up to the policy limit through this plan. Some clients buy this policy only to use on dental, while other buy it only for vision, and some buy it mostly for hearing coverage. However, the choice is yours. You can use your policy benefits however you best feel fit. Example, you have tooth pain and you need 2 fillings replace right away. The dentist charges you $400 for the filling. The CUL plan will cover 60%. So right away your plan pays $240 toward your fillings. To check rates and learn more, get an online quote and compare plan options. Example, Year three your dentist charges a costly $1200 for a crown. Your dental insurance would cover 80%. That means $960 would be paid by the insurance company. Hot Tip, If you are in need of dental implants visit. GPM Dental Insurance. Vision services are available after you have owned your policy for six months. For example, there is a six month waiting period for an eye exam, glasses, or contact lenses. You can choose your very own Optometrist. There is no network of eye specialists that you are required to choose from. This plan allow full policy limit on vision services. Members who utilize expensive doctors or members who prefer expensive frames or lenses truly love this plan. It is one of the few plans that allows up to $1,500 in vision coverage. For example a $500 frame would be covered at 80% after the second year. So the policy would cover $400 of the $500 charge. Hearing coverage is another added benefit to this plan. 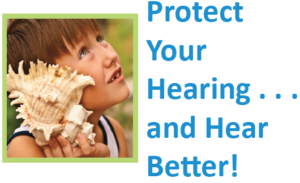 While many people do not have any concerns with hearing, this benefit can be very valuable to other members. A 12 month waiting period is required for anyone in need of new hearing aids or in need of repairs. Keep in mind a 12 month waiting period does apply to anyone who may need hearing aid repairs or adjustments. All coverage, as well as claims information can be easily managed online. Also, new and replacement cards can be printed directly from the company web site. If any changes or adjustments are made to existing coverage benefits, the changes will be updated within 24 hours. Information such as this can also be accessed on line. It is extremely important to have dental, hearing and eye coverage especially if an emergency situation arises. It is important to keep in mind that Medicare Plans do not cover dental, vision or hearing expenses. Therefore, it is critical that you have affordable coverage to help pay for expenses related to dental, vision as well as hearing expenses. All charges for monthly premiums are broken down according to age. All rates are based on the $1,000-$1,500 policy maximum. Coverage can be obtained for as little as $25 per month. If for some reason you are not satisfied with your new coverage, the company will cancel the coverage and refund your money within first 30 days. Coverage of this nature is critically important for the health and well being of you and your family. Therefore, if you are in need of dental, hearing and vision coverage this is an opportunity to take advantage of this very valuable and very necessary coverage. Your health and the health of your loved ones is a valuable asset. Get an online quote and compare plan options. I am looking for dental and vision insurance together and a affordable rates I’m on a fixed income I get disability so $25 a month for both will be great and I see that it includes hearing which I really need.